Everyone has their favorites and mine is the Verifone VX570. The VX570 is a go-to countertop style credit card terminal solution that is more than capable of handling your day to day transaction needs at your retail business. It is capable of using a dial up or an IP connection giving you flexibility to match the needs of your business. The ATM-style keypad layout and design was well thought out as it does not have a bunch of unnecessary buttons that clutter up the keypad especially when you will use just a handful of buttons on a regular basis. Here’s a snapshot of the features that you get with a VX570. Since the machine has a thermal printer you will not need to replace printer ribbons. Most terminals nowadays have thermal printers so this is simply a standard. Best of all, this terminal is very easy to use. It’s extremely reliable and the low cost makes it one of the top choices of the terminals available today. The main thing that will effect price of this unit is whether you want a dial up model or an IP (dual comm) enabled terminal. Dial up models usually range between $220 to about $300. Dual comm (IP connection) models range from $250 to about $350. So as you can see there is only a slight variation in price when comparing the two models. One thing to note is that dual comm machines will also be able to process via dial up connection since it has cable ports for both modalities. Buying the dual comm unit is usually my recommendation because for a small amount more, you give yourself the flexibility to change to high speed connection if your needs change in the future. If you have questions on whether a terminal is high speed capable or not, look for the “10baseT” connection port on the back of the terminal. If it does NOT have this connection the terminal is likely not high speed capable. ***NEVER LEASE a credit card terminal. Terminal leases are usually between $45 to $99 per month with a long term contract and they simply are not stacked in your favor. If your budget requires a monthly payment, work out a payment plan with the provider or just rent the machine for $19.95 per month (terminal placement program) and then buy when your budget permits. You might even consider a free terminal placement, but make sure you are aware of the strings that are attached to a program like that. Most of the questions that I receive are technical in nature and often times require specific advice that is particular to a certain client account. If you’re having issues with your terminal and you need support, please get in touch with us. For technical issues it’s best to be directed to the technical support department of your processing company. 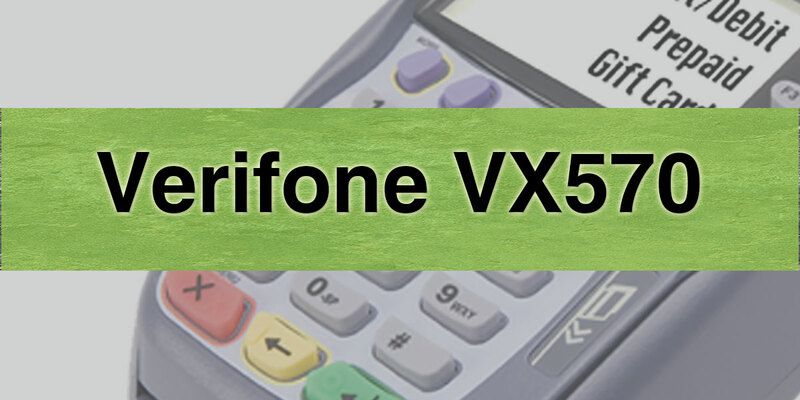 The Verifone VX570 is the number one recommended terminal for all of my clients and I strongly endorse the terminal because of its flexibility and reliability. So again, if you’d like information about how to use one at your business contact us today.